We really enjoyed our trip! It was great not using a car all week and the beaches had some of the best shelling we've ever seen. A great, relaxed atmosphere and would definitely come again. It's a pleasure to know you discovered us and will be back again! We spent 6 nights here and loved it. The entire resort is beautifully kept, and all of the staff are friendly and helpful. Their care for their exceptional environment is inspiring. (EXCEPT--not much recycling?) The location of this unit was fantastic. Beautiful views and very livable. The kitchen was okay--toaster was broken and no veggie peeler. Kind of dirty (the base of the blender was filthy). The beds were clean and comfortable but the carpets were very old and dirty. Minor things (bathroom fixtures, holes in screens) should be attended to, but all in all a very easy and comfortable stay. The food at Rum Bay was okay but the food at Leverocks was lousy. Bring everything you think you might want to eat with you and enjoy a very relaxed, slow, and beautiful vacation. Definitely do kayaking with Kris--fantastic take, along with any of her exercise classes. Tennis looked great but we didn't use this time. This is a truly beautiful and special place. We are sorry for the little things that weren't quite right. Our food and beverage director may be in touch regarding your disappointment. I am delighted you commented on the friendliness of the team! We'll certainly be sharing. Stayed here for two nights in March 2018. Very clean and freshly redecorated two bedroom condo with all amenities. Great sunsets and very private. You need to bring all food and supplies as the island dose not have any stores, but there’s a Publix about a mile from the ferry. Overall our experience was fantastic! The location on this quiet island is perfect if you want a total and relaxing getaway! No traffic, no crowds, and the short ferry ride was not inconvenient and rather fun! The view is gorgeous, and the beach -- miles of unspoiled, uncrowded, walkable sand - is second to none. Dolphins and Pelicans are plentiful and we were told there were some Manatees by one of the docks on the back channel one day. The unit was very pleasant, comfortable, and nicely decorated, but some updates are needed. The air-conditioning unit was not working, and subsequenty determined to be in need of replacing, however not possible while we were there. We were fairly compensated on our unit cost for this. Bathrooms and kitchen in need of upgrade, although clean and functional. Great to have washer, dryer, and dishwasher in unit! This particular unit was well-located within walking distance of the office and parking lot. Staff was wonderful and responsive. Maintenance responded immediately when called for things like replacing light bulbs, and the initial reporting of air-conditioning issues. Window blinds in some windows broken and not functional. Most windows difficult to open. Screens on porch detached in some frames, letting in the Noseeums(tiny sand-flies), resulting in bug bites at night. Kitchen cabinets are de-laminating. A screen door on the back entrance would have been nice, since most of the time there was a wonderful breeze though the unit from front to back. We just left the door open which invited bugs in early evening. In spite of these issues, we would go back! It was one of the most relaxing vacations we've ever had. Golf carts were available on call for rides to the nice Rum Bay Restaurant on the property, and the drivers were congenial and accommodating! Overall this is an outstanding place to vacation!! Good value for the price if you can go with another couple and share the coat. We hope to return! Thank you. We appreciate your feed back and are working on them. See you next time. Great place to relax with family. Love it Here...But Still Need WiFi! This was our 10+ year in Palm Island. We always have a wonderful experience, but the main issue has become the lack of WiFi. Even though we travel to the island to "geat away from it all" we still need to stay connected and need WiFi in our condo. Most of the condos don't have WiFi and the property WiFi is availbale in the pool areas but spotty at best. Every owner should upgrade to WiFi or be prepared to lose renters. We appreciate your comments and by this time next year we should have WIFI in each villa. We had a lovely time. The resort was beautiful, and the staff amazing. Our unit was so well appointed, and beautifully decorated. We are coming back again soon! Women at the front desk were wonderful, great stay- very relaxing. Beaches are beautiful Pay to stay at Deluxe or Superior accommodation. Lovely location and just the perfect place to unwind. We love all the wildlife and the fact that the beach isn't crowded. Palm Island really is a magical place. Would love the BBQ's to be updated as they really have seen better days. Suzanne and all front desk people were friendly and helpful. Bellman Shane was most curious and helpful. Everyone we met made us feel welcome and special. Will be sure to recommend to friends. Palm Island Resort is paradise! 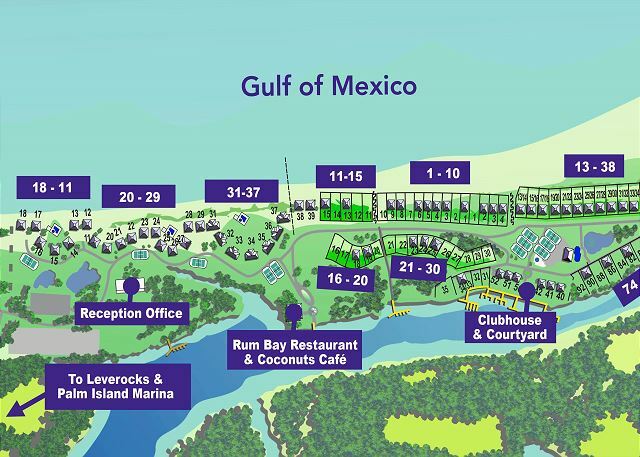 We go there for a getaway in a quiet, peaceful and relaxing, tropically lush environment on the Gulf. The condo we rented was clean, in good condition and tastefully decorated. We have visited here several times and always look forward to any excuse to visit again. 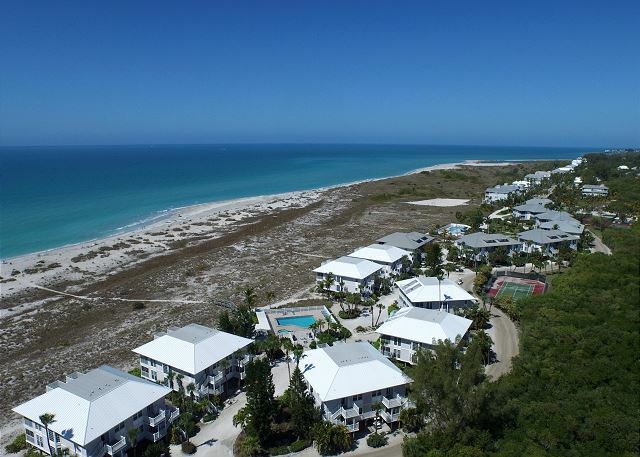 Beautiful beach, minimal crowds, helpful staff, amenities from active to leisurely - tennis, fishing, kayaking or just lounging by the pools or on the beach. Have visited this resort annually over 24 years and always enjoy our time there. Very peaceful and relaxing. Will be back. Palm Island Resort was the perfect getaway. The location is fantastic. Beach or pool your choice. Relax or stay busy. I will be back for a longer stay. Great property with great view. We were somewhat disappointed that this is the first villa we have rented where the wifi wasn't included and my husband had to pay extra for it for himself. I know it is up to the owner but think it is cheeky to ask it as an extra when others don't. The most peaceful place I have ever been to. I cannot think of one negative thing about this resort. We stayed 4 nights, next time we will stay 7! Many activities to do yet relaxing at the same time. Quiet and peaceful. Four women , we stayed one night as we had a house rental earlier on the island and extended by one day to stay at PIR. We loved it. 2213 was our home for a day. folks were great.accomdations perfect. We would have loved to stay longer. Would be great if the golf carts were included in fee , not extra. would be good if there was a way to have another small restaurant bar on the property. maybe some live music for short while. Beautiful! Beaches, condo and Palm Island grounds were outstanding! Already planning a trip back! We had a wonderful time at Palm Island. Our villa was beautiful and the staff were so pleasant and helpful!! Our favorite vacation spot! Palm Island was as tranquil as ever...just what we needed to escape and renew our energy for the start of a new school year. We loved our 2 bedroom unit this year. The decor was lovely and very calming. There was a steady breeze on the island and a couple days of rain helped settle down the sandy dust from the pathways. The sky and sunsets were unforgettable. We will be back next year! This unit was updated, clean and comfortable. We stay on Palm Island every year and just love it! Staff is friendly and amenities are great. We had a great stay. Housekeeping answered each need as it arose. Towel racks inferior, broken; guest bath fan switch broken; master shower antiquated; bedroom needs a chair; Small irritants in the big picture. Unit upgraded to superior, but not quite there, in my opinion. I'd still rent this one again. The beautiful beach -just steps from the very comfortable condo overlooking the calm ocean-so peaceful and relaxing - perfect! The staff, very friendly and helpful. I got away from hectic every day life. I rested, enjoyed and did n o t h i n g. What a great feeling - perfect vacation for me. An amazing property and vacation! How you could one go wrong... A beautiful condo on the beach, a golf cart and my boat sitting at the dock. Whatta GREAT weekend. Lots of sun, wonderful staff and the 2/2 was excellent and very clean. the expeience was very pleasant. Nicole K from Nashville, TN does not recommend this vacation rental. Love Palm Island. Ultimate in relaxation and downtime. Only drawbacks were dirty plates/silverware in the unit and quality of food at the main restaurant (this really should be looked at closely as it is the only option). All else, including staff from Coconuts to housekeeping excellent. We have already booked next year. The property and room were fabulous. Restaurant mediocre, not fresh. All frozen Sysco meals offered. Loved the condo, the beach, the whole eperience. Will be back for a longer stay next time. The beach and the restaurant were both great. The ferry was a nice touch. The resort did feel "away from it all." Love the resort! The condo we stayed in needed a few repairs as well as the hot tub closest to our unit. Love it here tho . Loved the resort and the Island, wish the weather had been better. We have been visiting palm island for 18 yrs. And overall has been great. Although, this visit was a little disappointing as the bed in unit was very uncomfortable, the tv in master br reception was very bad and there was an ant problem in kitchen. The unit definitely needs some attention. I would like to say that Marty at front desk has always been wonderful and always tries to accommodate us with reservations. A stress free vacation resort with exceptionally friendly and helpful staff. We had the most wonderful time. The beach and island were practically deserted, so we felt like it was our own island. We are looking forward to returning for another great vacation. I was just looking for something unique and not too far from home to spend a little quality time with my kids. We enjoyed it so much we're coming back with friends over the summer. I think if I was looking for more activities I may have been disappointed, but the overall friendliness and ambiance of the island was just what I was looking for. When I come back in the summer we are planning to charter a boat, go to the surrounding islands and explore the area a little more. The rain kept Red Beard away, but my kids are too old for him. I think if there were more adult-like activities it would be beneficial. Maybe even a movie at the pool on a large screen one night, or a planned scavenger hunt instead of on your own. Give the winner a free appetizer at the Rum Runner. Utilize the club house and have BINGO night? Make a bon-fire on the beach and toast s'mores :-) Overall the trip was great, but we're bringing more people with us to make it a little more exciting. See you in August! The only problem I felt was the quality of the bed linens and the towels were unsatisfactory and need to be replaced/updated. If you like "down time" in a beautiful place, this is it! It's also perfect for the family with children, particularly under 13-the perfect spot for simple pleasures with maximum convenience and appointments. We did one massive shopping at Publix before we came onto the island and fed 9 for a week without ever having to leave-and certainly didn't want to! We love coming to Palm Island. Unit 2213 needs filtered water - Palm Island water taste is poor. This unit is one of the best that we have stayed in at the resort. Palm Island gets you back to center- No car for 4 days just surf, sand , eating , drinking, fishing, and late night stolls on the beach under the moonlight.Great place to vacation. Best Vacation in years, A TRUE VACATION!!!! The staff were tremendously helpful from check-in to check-out! The rest/bar was fantastic, little wait and outgoing staff, especially the bartender! He was awesome! I am in the military and no matter where I am stationed, I will make it a point to visit Palm Island yearly!!! My wife who is Japanese and son 12 loved it. A true Island getaway. Dirt paths for running/biking, pools, spa's and the incredible Gulf in your back yard! Palm Island is the best place to go to relax, read books, ride bikes and take naps, and listen to the sound of waves all day. We have been several times and this is one place we love to come back to, almost like a second home. We love it! Our family has vacationed at Palm Island Resort for many years. It's become an annual family retreat that we rarely miss. Our 2nd Home!We have been guests of Palm Island since 1989..Alot of changes since then but still a bit of peaceful heaven to escape to. 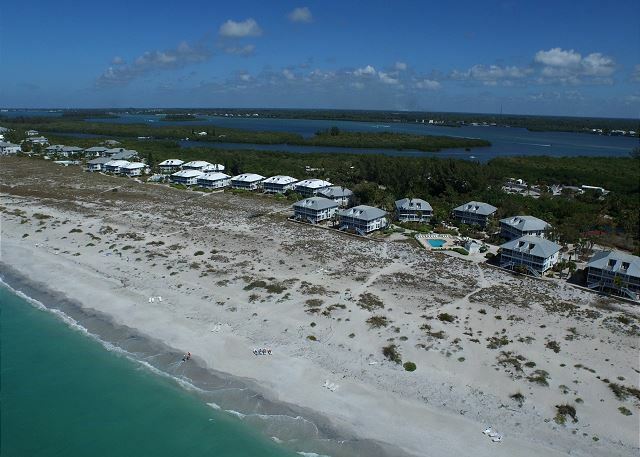 Staff always very helpful,property well maintained,beach stunning,wildlife and shells. Don't grow too much more ! !